Slow Cooker Chicken Pot Pie is creamy, hearty and addictively delicious. 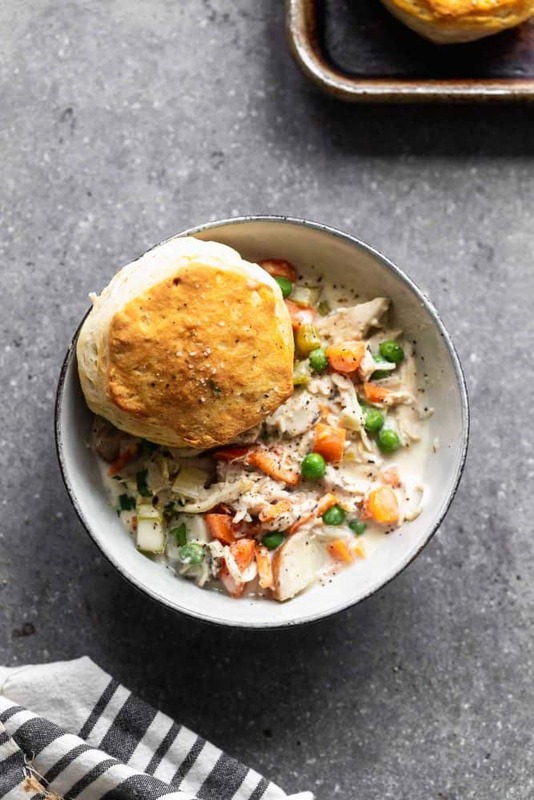 It’s packed with tender chicken, crisp veggies, a sauce that will leave you coming back or more, and buttery store-bought biscuits. 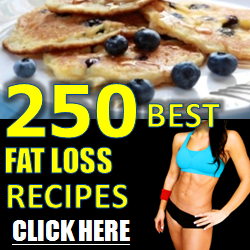 Perfect for cold and busy winter weeknights! 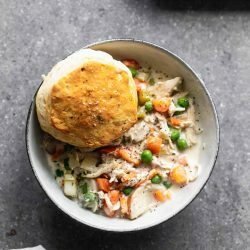 The slow cooker does ALL of the work in this Slow Cooker Chicken Pot Pie, so it’s perfect for families on busy nights. If you’re looking for more slow cooker recipes, check out Slow Cooker Thai Peanut Chicken, Slow Cooker Pumpkin Chili, and this Slow Cooker Swedish Meatballs. Ok, so it’s winter. It’s cold. We’re just itching for spring to arrive. And we’re still craving comfort food something fierce. I am at least. 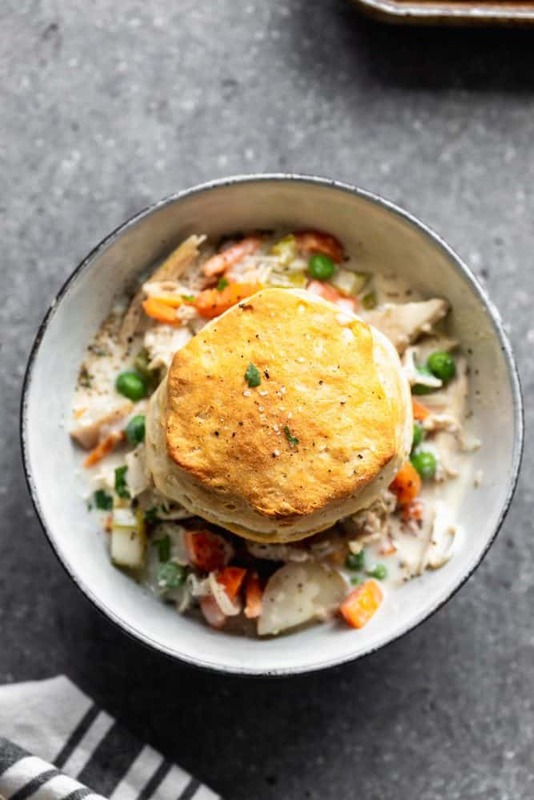 Chicken pot pie is one of my go-to comforting meals in these brutal winter months, but it’s not always something I want whip up on a busy weeknight, since it’s not exactly the quickest meal. Enter: Slow Cooker Chicken Pot Pie. 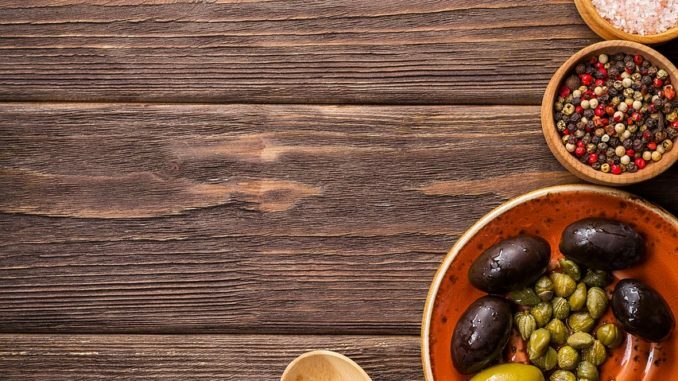 By letting your slow cooker do all the work, you get all of the dreamy, comforting benefits of a classic, by barely lifting a finger. Garlic, bay, chicken stock, and plenty of thyme give the filling maximum flavor, while crisp carrots and celery give the filling loads of texture. Use the flaky buttermilk biscuit to soak up all the creamy goodness at the bottom of each bowl! 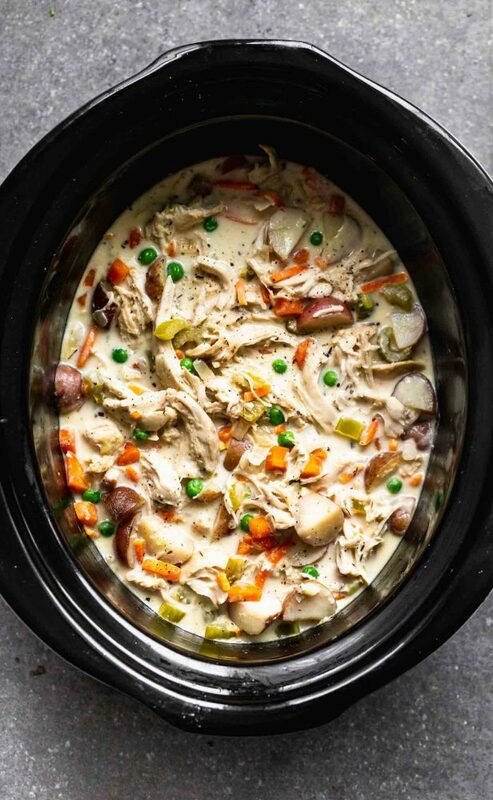 How to Make Slow Cooker Chicken Pot Pie? Add chopped carrots, celery, red potatoes, onion, garlic, dried thyme, salt and chicken stock to the slow cooker. Layer chicken breasts on top and let the mixture cook for four hours. Whisk heavy cream, melted butter, and flour together in small bowl. Add the mixture along with the shredded chicken back to the slow cooker. Cook another 45 minutes to an hour or until the filling has thickened. While the chicken pot pie filling thickens, bake the biscuits in the oven. Spoon the filling into bowls and top with flaky biscuits. Can I use chicken thighs in place of breasts in this recipe? Absolutely! Use whatever cut of chicken you prefer, just make sure they are both boneless and skinless, as this can alter the amount of liquid/fat in the finished product. Can I use milk or half and half instead of cream? I would not sub out the cream for anything else. It really gives it that luxurious mouthfeel you’d miss without it. Can I add different vegetables?? Yes! Add whatever veggies you’d like, just make sure they have all have a similar cook time. You don’t want to end up with mushy vegetables. 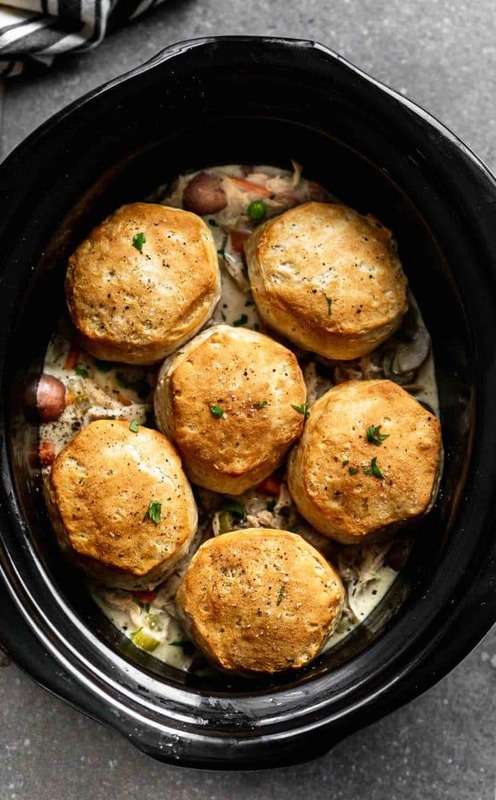 What sides can I make with Slow Cooker Chicken Pot Pie? Add onion, carrots, celery, potatoes, 1 tsp salt, thyme, bay leaf and chicken stock to the slow cooker. Stir to combine. Season chicken a little bit on both sides with salt and pepper. Nestle the chicken breasts in the veggie mixture. Turn the slow cooker on low and cook for 4 hours. After 4 hours, take the chicken out and shred. Put pack into the pot. Add the butter and cream to a liquid measuring cup. Microwave in 30-second increments until the butter has melted and the cream is warm. Slowly whisk in the flour. Add butter cream, and flour mixture back to the slow cooker along with remaining salt. Stir to combine. Cover and cook another 45 minutes to an hour until mixture has thickened and veggies are tender. After you put the flour and cream mixture back into the slow cooker, preheat oven to 375 degrees, Cook biscuits according to package instructions. After the mixture has thickened, add frozen peas. Stir to combine and cook another 4-5 minutes until peas are thawed. Season mixture with salt and pepper. Spoon filling into bowls. Place biscuits on top. Serve. Best Malaysian Food – DREAM COME TRUE!